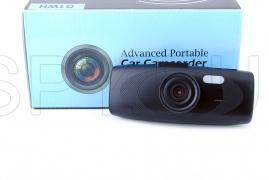 The camera is convenient to use and easy to operate. Free rotation around the tray allows for the quick change of perspective - of the way into the vehicle and vice versa. 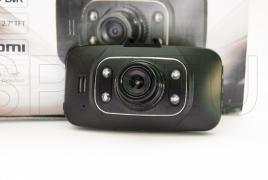 There is a clear indication for the camera, as well as large and easy operation buttons. 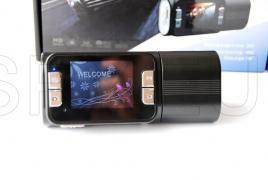 The device has video output that can directly connect to a display in the car and you can watch the records immediately. The file storage has a microSD card slot with a maximum supported memory capacity up to 32 GB. 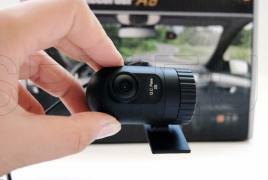 With this video register you gain the ability to record audio-video files in resolution 1920x1080 with H.264 compression. 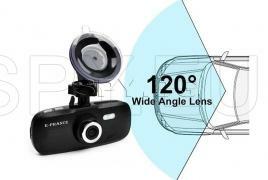 The wide 120 degree lens allows you to capture more things around the device. 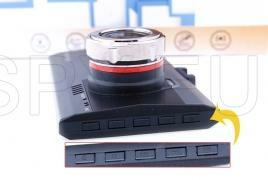 The LCD screen size is 2.7 inches on which you can immediately play back the recordings. 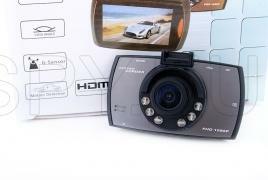 However, if you want to view the video in detail you can connect the register to an HD TV screen using the HDMI output. 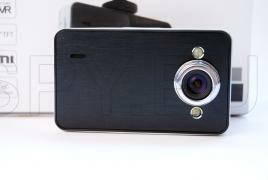 The device is equipped with a sensor that automatically saves the footage on hit. 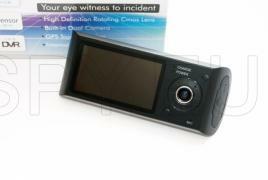 Video recorder with FullHD resolution, which you can record the route of your vehicle. 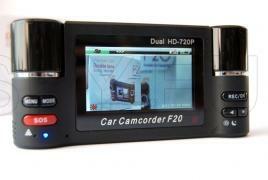 There is a 2.7 inch display which you can use to browse recordings or configure the desired settings of the device. The video in MOV format and you can choose between four resolutions - 1920x1080, 1280x720, 640x480 pixels or 848h480. To have a perfect recording device has WDR function. The pictures that you can do with the registrar are as JPEG resolutions, among which you can choose from are 12, 10, 8, 5, 3, 2, 1.3 mega pixels or 640x480.